The town of Wellington was located by the Stevens Pass summit in the Cascade Mountains. During the last days of February in 1910, the snow was relentless in the Cascades, falling as much as one foot per hour and rising up to 20 feet deep in areas. Rotary plows could not keep the lines open as snow covered the railroad tracks almost immediately after being cleared. The Seattle Express, coming from Spokane, and a fast mail train were stranded just beyond the "safety" of the Cascade Tunnel, where they remained unmovable for almost a week under the snowpacked mountains. On March 1, an avalanche swept away the tracks and passengers aboard the two trains as well as several of Wellington's buildings and homes. Almost 100 individuals were killed in just a few seconds, creating America's deadliest avalanche and train disaster in history. Today, the site is part of the Iron Goat Trail off Highway 2, east of Skykomish. 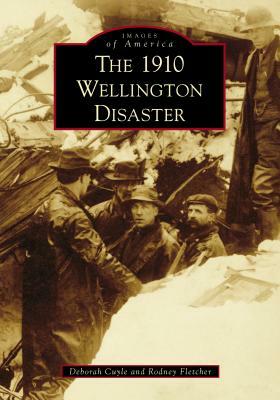 The snowshed, the abandoned original Cascade Tunnel, and various scraps of the trains left in the ravine are the only evidence that remain of Wellington, its long-forgotten inhabitants, or the disaster.